December is expected to be a big month for Jordan Brand with their lineup of shoes included in their 2013 Holiday Collection. Now available in the market is the returning edition of the Air Jordan 1 Retro Hi Premier — the “Gucci” edition that is officially listed as the Varsity Red/Dark Army-White colorway of the shoe. 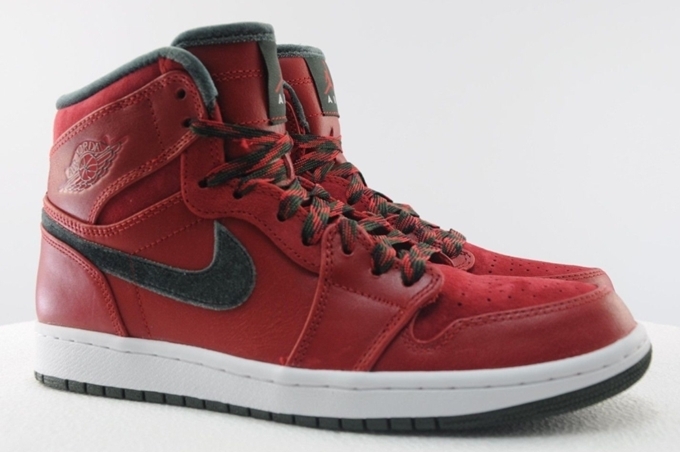 The shoe, which features a varsity red-dominated upper part, was originally released in 2008. Make sure to get your own pair to get a taste of classic this Holiday Season.